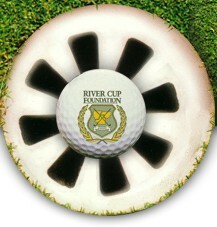 The River Cup Foundation's purpose and mission is to benefit youth and worthy charities in the tri-county area through the game of golf. Since it is through the game of golf we raise the funding needed to do what we do, we wanted to also give back to the game of golf and the eligible organizations and programs/projects that can benefit from financial help and support. Types of programs / projects that are most eligible for this grant include golf related programs that either introduce the game of golf to juniors, or promote golf skills development and competition among juniors. After submitting this application, the above requested attachments, should be submitted electronically by email at rivercupgrants@gmail.com. All submissions will be acknowledged by a confirmation email. If you are having problems submitting your application, have questions about the application, or do not receive and email confirmation confirming your submission please contact us at rivercupgrants@gmail.com. Please provide information about your grant request using the headings on the follow page. Please limit your application to no more than 3 pages. Grant requests should not exceed $1,000 per application. Whether or not your grant request is fully funded will depend a numerous factors and will be decided based on the sole discretion River Cup Foundation’s grant committee and Board of Directors. Not all projects can be funded or funded at the full amount requested. A denial should not be viewed as a negative reflection on your request, but rather, a reflection on the limited funding available and the number of requests for funding. You will be notified in writing on the status of your grant either way. 6. HOW WILL THE GRANT AWARD BE PUBLICIZED? 7. WILL THE PROGRAM/PROJECT TAKE PLACE WITH PARTIAL FUNDING? IF SO, HOW? THANK YOU FOR YOUR GRANT APPLICATION! Please note that, should your grant be approved, we will send a check to the name and address on this application. The money granted must be used in accordance with the budget included with your proposal and no substantial changes in the budget may be made without prior written approval from River Cup Foundation. IMPORTANT: The funds must be used specifically for the designated purpose(s) no later than December 31, 2019. Any funds not used by this date should be returned River Cup Foundation and will be put back into the pool of grants funds for redistribution the following year. We request that in any publicity given this grant, acknowledgment be made that funds were received from the River Cup Foundation. Please email us a brief (1 page) follow up report once the project is complete to tell us how the grant was used, whether goals were accomplished, etc. to rivercupgrants@gmail.com. Please include copies of any photos and/or publicity when you send us your report.